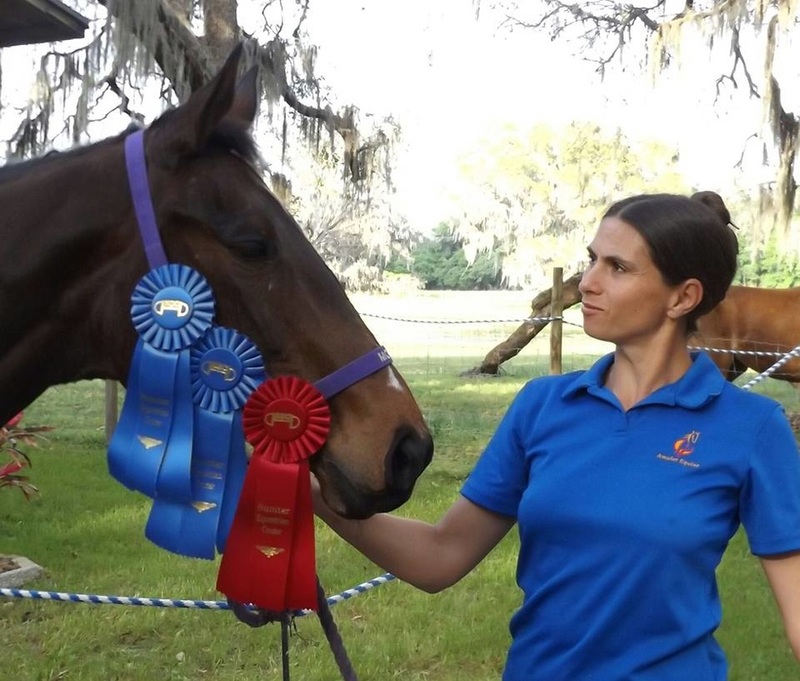 I have been riding for almost 30 years now, and I have been involved in training both horses and riders for over 25 years. 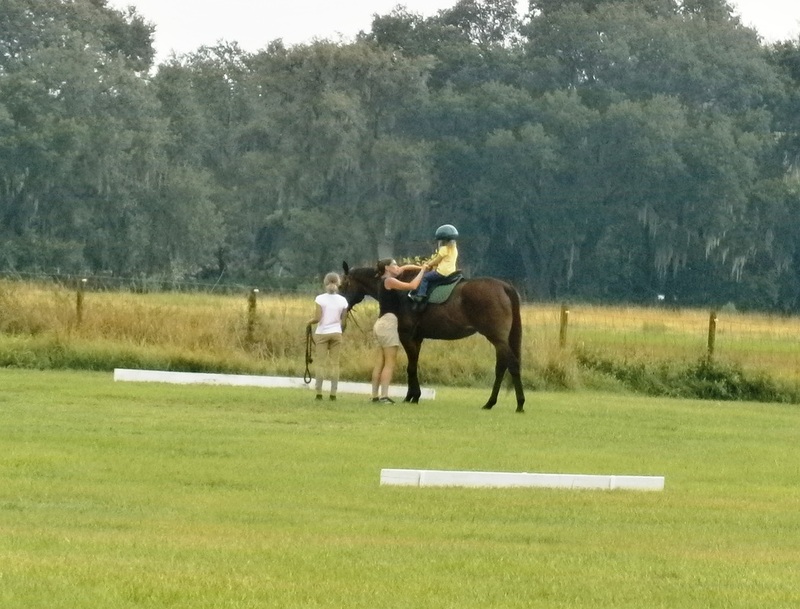 My main focus has always been the progression of horse and rider, with emphasis placed on safety. I do believe that riders - and horses - need to be pushed to fulfill their potential, and I ask my students to give their very best. I don't expect perfection, but I do expect you to try for it- there's no room for "I can't" around here! I would rather you try, even if you fall a little short at first. My grandfather used to say "the man who never made a mistake never made anything", and I believe this rings true for riding. We all make mistakes - it's how we learn! 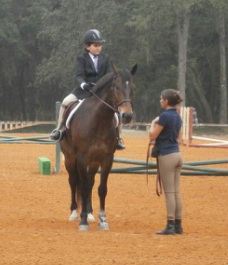 I specialize in novice and nervous riders, and will take as long as necessary to reach our agreed goal. My main focus is the creation of safe, effective and confident riders. 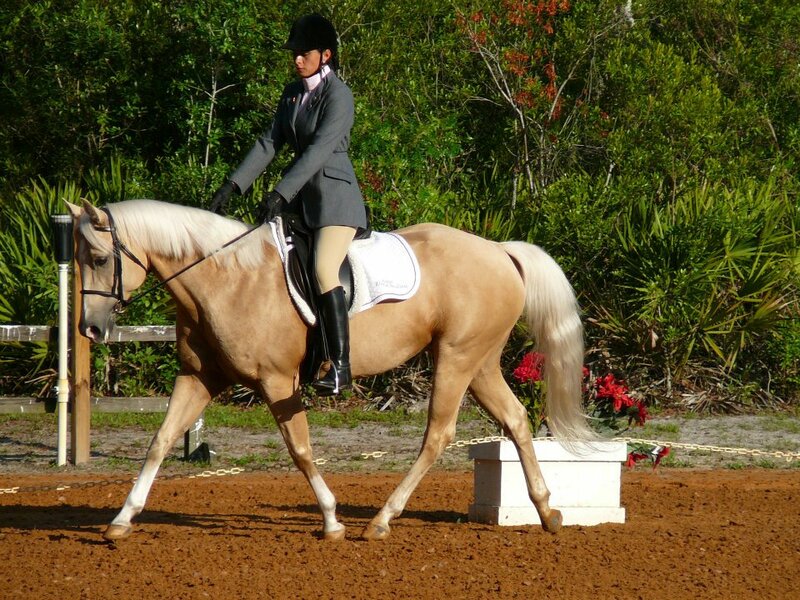 Whether you want to develop your skills toward competition, learning a new style or skill, or simply improving your riding and your horse, we can work out the most appropriate program for you. There is no one "right" way to learn, and there is no one "right" speed of progression. I believe in teaching in the most appropriate way for each rider - not a "cookie cutter" approach. The basics cannot be over-learned, and I will take as long as necessary until a rider is comfortable before we move onto something more demanding. My own equestrian background has been quite varied. I initially worked in a boarding stable/riding school in Scotland, where I started to learn how to train riders, and over the years I continued to ride, working on horse training, improving my own riding and also studying horse and stable management. 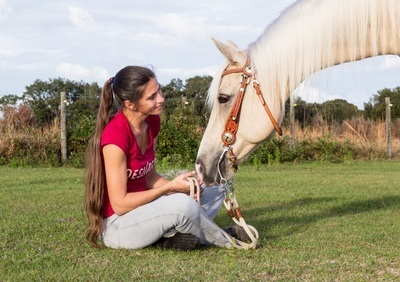 I was fortunate to have a very good trainer myself, who was not only able to train me in riding, but who also taught me how to break down different skills to enable them to be more easily explained and trained. She taught me that there's always another way to explain something, and that if the student isn't picking it up, perhaps the trainer needs to try a different approach to make it more easily understood. This has stood me in very good stead over the years. 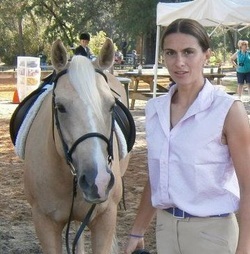 I have experience of riding in dressage, show jumping, cross-country jumping, fox hunting, and hacking/trail riding. I have basic experience of riding English side-saddle and have also driven various single horses. 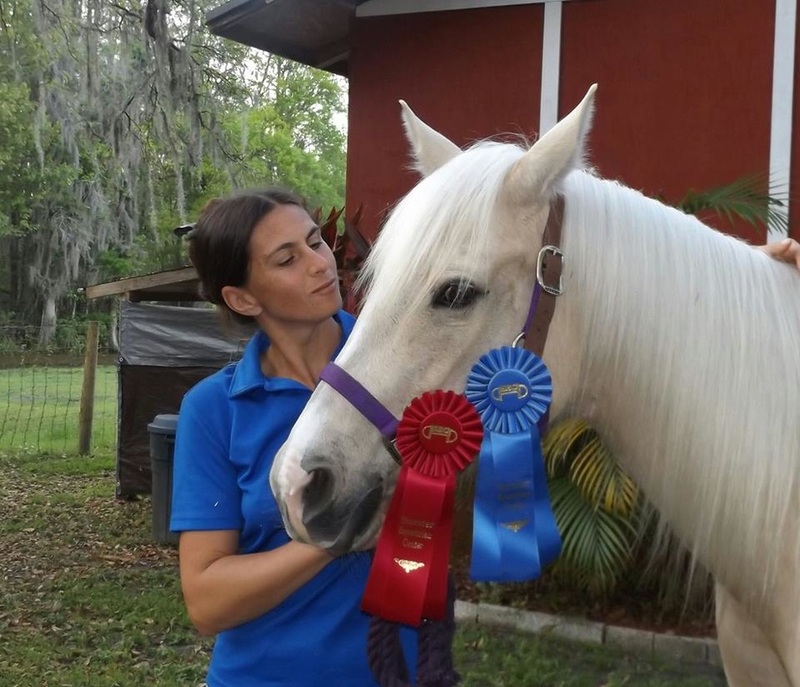 I have ridden a wide variety of horses, literally from Shetlands to Shires, and horses at all levels of training, from "green-broke" youngsters to my own trainer's Third Level dressage horse. Although competing was never my main goal, I have ridden a number of horses in dressage competitions and also in breed/type specific showing classes. My own horse achieved a second, fourth and two champion ribbons in her first ever dressage show - I was one very proud 'mommy'!! Since moving to the US, I have returned to working as a horse/rider trainer on a full time basis, and I have successfully transitioned several riders from equitation-style riding to a more classical dressage style, reflecting my own training background. One of my teenage riders has competed successfully in a number of dressage competitions (out-scoring me in one test, which I took as a great compliment! 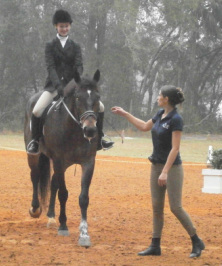 ), while my younger, less experienced riders have taken part in their first competitions, placing well in their classes. My most recent "change of pace" has been to enter the world of Western dressage with our Quarter Horse mare. We took part in two classes at our first competition attempt, and brought home a 1st and 2nd place. 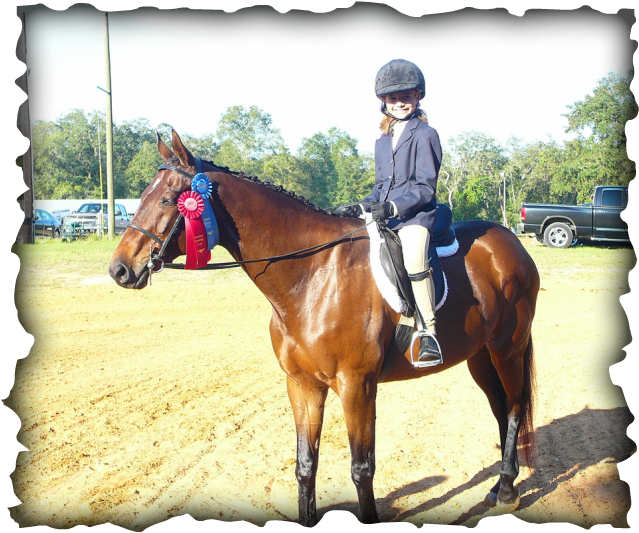 (On the same day, our TB mare took two 1sts and a 2nd at the same show, in English dressage.) I am happy to offer lessons in basic Western riding for anyone who would prefer to follow this path.